Retaining walls are structures used to keep soil in place usually against a downslope. 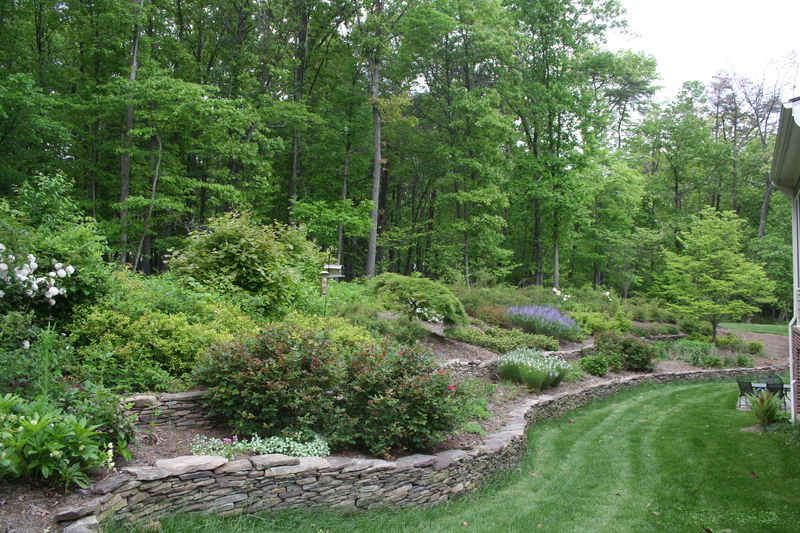 Retaining walls are often used by Landscape Designers and Architects to add beauty to the landscape, help moderate elevation changes and provide structure in the landscape. The need for walls, their location and height is often one of the first considerations when preparing a landscape design. They also are one of the first elements constructed in the new garden. Beauty – aesthetics are important in any landscapes. A well designed wall is beautiful as well as functional. Elevation – retaining walls are usually constructed to give structure to a slope for planting but retaining walls can also create an artificial terraced effect that will add depth and height to a garden. Structure – a well designed wall will help to arrange and organize your garden.